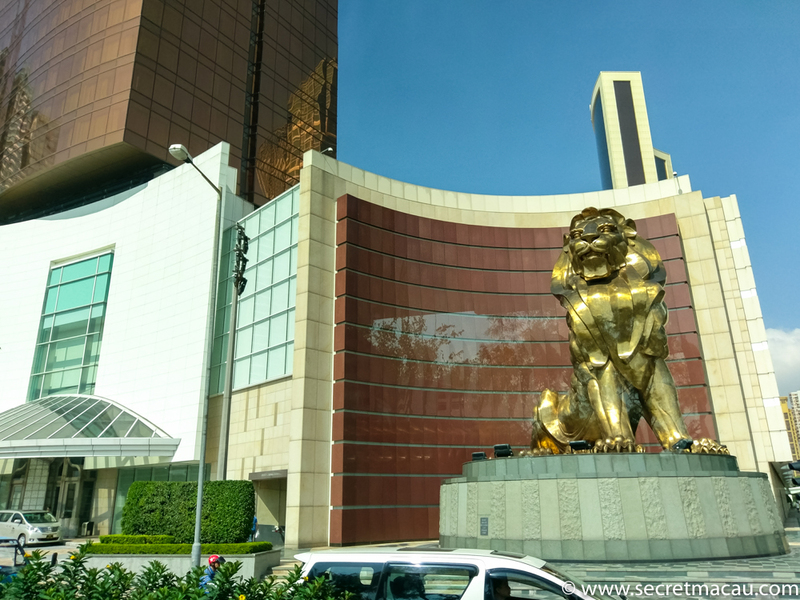 The MGM Macau Casino (美高梅) stands on the Avenida Dr Sun Yat Sen, the long road running alongside the Outer Harbour, linking the Ferry Terminal to the Macau Tower. 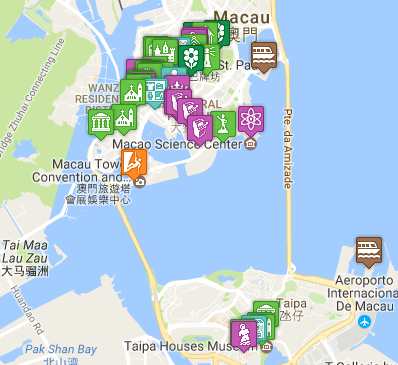 Its distinctive 3-tier design forms part of the wonderful cityscape you can see from the Ferry, or the Taipa bridges. 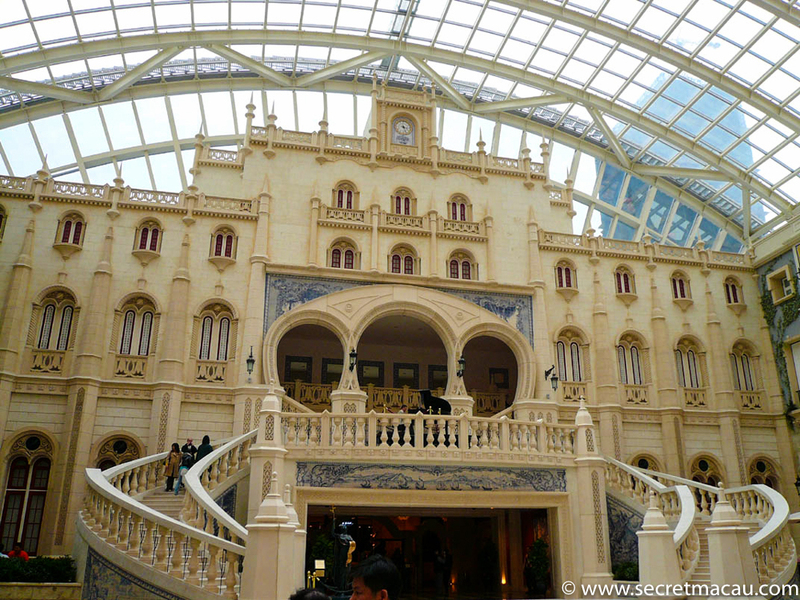 The casino floor covers over 320,000m2 over two levels wrapping around the Grande Praça (Grand Plaza), a dome covered square inspired by old-world Europe and showing off Macau’s multi faceted heritage. This is the bustling heart of MGM Macau Casino, the north end being modeled on Lisbon’s 19th century iconic central train station. 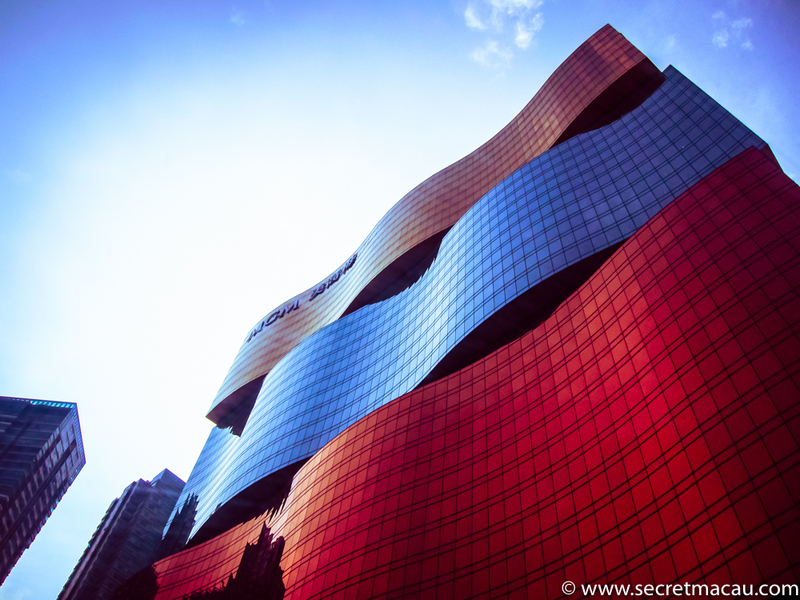 This distinctive building was opened in 2007 at a cost of US$1.25b. It is owned and operated as a 50-50 joint venture between MGM Resorts and Pansy Ho, daughter of Macau casino magnate Stanley Ho, following the handover of Macau by Portugal and the subsequent opening up of gambling laws.